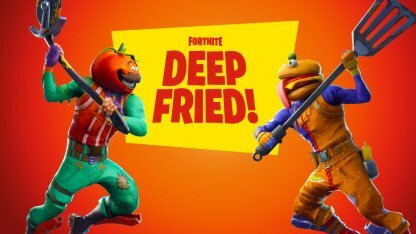 Find out everything to know about the new Limited Time Mode - Food Fight - Deep Fried. 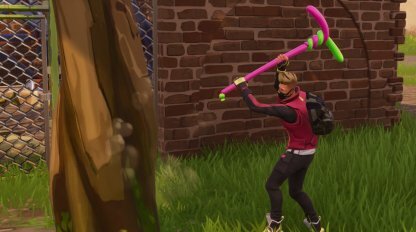 This guide includes the LTM's release info, available weapons, tips to win, & more! 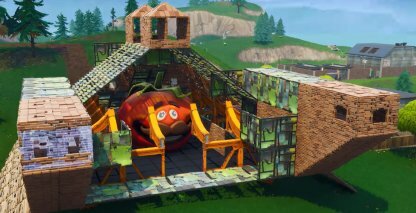 Work as a team to protect your mascot against your restaurant rivals and the lava in the Food Fight - Deep Fried LTM! At the same time, play to destroy the rival's mascot and take them all out. 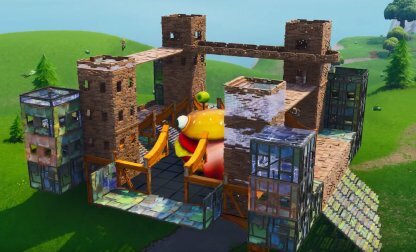 The already exciting Food Fight LTM receives an additional hazard in the form of lava rising from the ground! In this game mode, players need to play both defensively and offensively to win! Winning in this game mode requires players to destroy their rival mascot first then take out all remaining enemies to be the last team standing. The match ends when all players of the opposite team has been eliminated. Both teams will have a mascot head that will represent their team, found on opposite sides in the center of the island. With the new lava hazard, they're elevated higher, requiring players to build to get to them. Players will continue to respawn whenever they're eliminated as long as their restaurant mascot stands. Take down the mascot and its team members will stay down when eliminated. The map will be divided into 2 sections by an impassable barrier. 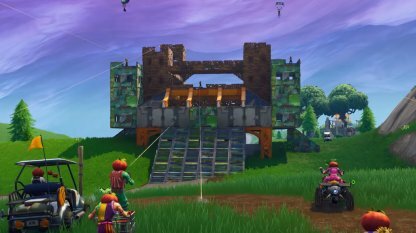 This will allow teams to build their defenses and gather resources without the fear of being harassed by their rival. The barrier will go down eventually. 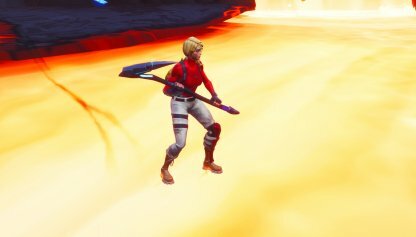 The ground is not safe in this game mode as lava will continuously rise all throughout the map. The only way to escape is to build your own high ground! At the start of the match, Red Supply Drops will spawn on both sides of the map. Each one will provide weapons, ammo, consumables, traps, and building materials. 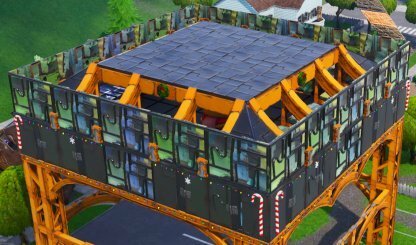 Players will get more materials when they break down structures! Get 100% more resources every time you farm for materials. 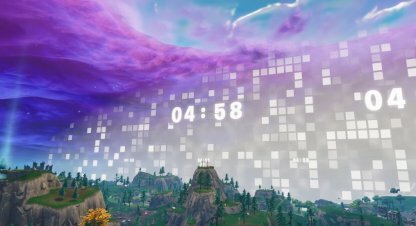 Throughout the match, players will receive a small amount of building materials every second. These are added automatically to the inventories! Players will not find any form of explosives in this game mode! 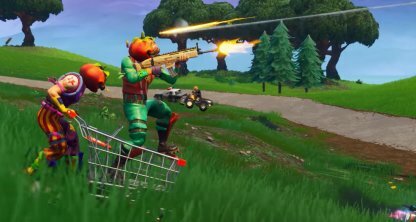 All explosive weapons and items have been removed from the Food Fight - Deep Fried LTM. At the start of the match, each team should focus on building good cover for their mascot and footholds for the team to stand on. This is essential as once the lava starts to rise, there's no place safer than high ground. Metal, as the sturdiest of all building materials, is the ideal material to build with as it will take a lot more to bring it down! Build the foundation of your structures with metal and layer it with other materials. Balance between being aggressive and defensive will bring victory in this game mode. Be aggressive in taking down enemies and going to their base to destroy their mascot, but keep an eye on your own in case enemies have infiltrated the base. Building materials are unaffected by the Lava and will act as a protective buffer between you and it. If you find yourself stuck in a high place with lava already on the ground, build to safely get across it. Horrible game mode. No fun at all.